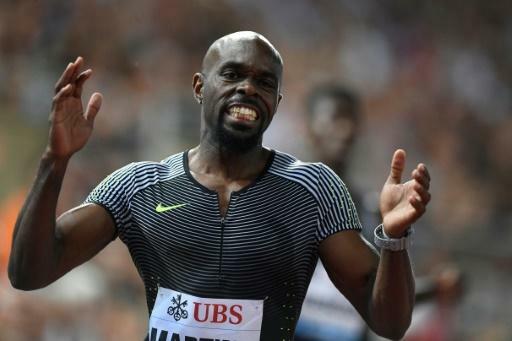 Defending European champion Churandy Martina insisted he was targeting more gold as he advanced smoothly into the semi-finals of the men's 100m on the opening day of action at the European Athletics Championships in Berlin on Monday. The veteran Dutch sprinter, 34, cruelly stripped of an Olympic 200m silver medal in 2008 after straying outside his lane, clocked 10.24 seconds, the fastest of the five heats in blistering heat at Berlin's Olympic Stadium, to finish ahead of Slovakia's Jan Volko (10.32). Next up will be Tuesday's semis, of which there are three, with the final to be competed later that night. "The round went well, better than I expected. With the first round, you don't know how it will go," said Martina, who with the now-retired Usain Bolt is the only sprinter to have competed in the 200m finals at the Beijing, London and Rio Olympic Games. "I did my fast times early in the season, but then I wasn't sure whether I'd be doing the 100m here. "But I am defending champion," he said. "My ambition is to perform better than last time, that is, to win with a better time than in 2016." Martina, with a best of 9.91sec and also a two-time European gold medallist in Helsinki in 2012 (200m, 4x100m relay), will realistically be pushed hard to make the podium in the blue riband event. Heading the favourites' list are British pair Zharnel Hughes and Reece Prescod, Italy's Filippo Tortu and France's Jimmy Vicaut. Among others also progressing to the semi-finals were Martina's teammates Christopher Garia and Hensley Paulina, Swiss duo Silvan Wicki and Jamaica-born Alex Wilson, Portugal's Nascimentos - Yazaldes and Carlos - and Jose Lopes, German pair Julian Reus and Lucas Jakubczyk, and Jonathan Quarcoo of Norway. Heats for the women's 100m, the semi-finals and final of which will also be raced on Tuesday, saw long-time Norwegian hope Ezinne Okparaebo, twice a European medallist indoors over 60m, take the first of three, clocking 11.44sec. Poland's Ewa Swoboda, just 20, continued her transition from a highly successful junior athlete to senior level, coming in second in 11.33sec behind second heat winner Lisa Marie Kwayie of Germany (11.30). The third and final heat went the way of Switzerland's Ajla Del Ponte. Standing in their way will be Briton Dina Asher-Smith, the fastest European over 100m this season with 10.92sec and who is gunning for a treble by also competing in the 200m and 4x100m relay. In a session of qualifying, another defending champion in the monstrous size of Pawel Fajdek sailed through to the final of the hammer throw with a dominant 77.86-metre effort. Joining him in Tuesday's final will be two others who hit the qualifying mark: Hungary's Bence Halasz (76.81m), and Polish teammate Wojciech Nowicki (76.03m), who has won two world bronzes and one Olympic bronze. Germany's David Storl, the multi-medalled shot putter is seeking a fourth successive European title. Apart from finals in the two 100m races, and the men's hammer throw, Tuesday also sees medals up for grabs in the men's shot put and 10,000m. Churandy Martina of the Netherlands competes in the 200 men during the Diamond League Athletics meeting "Athletissima" on August 25, 2016 in Lausanne.